This free download comes in fully layered PSD format to help you edit / add your own images or adjust the monitor graphics as appropriate to your website’s header. 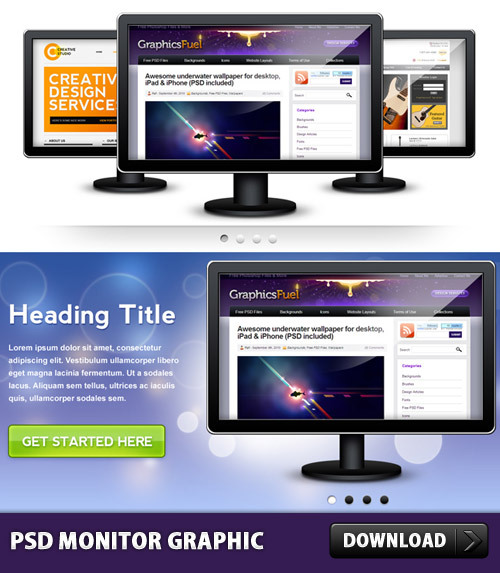 If you use these graphics in your website, please do share the link. Thanks for the download. Enjoy!